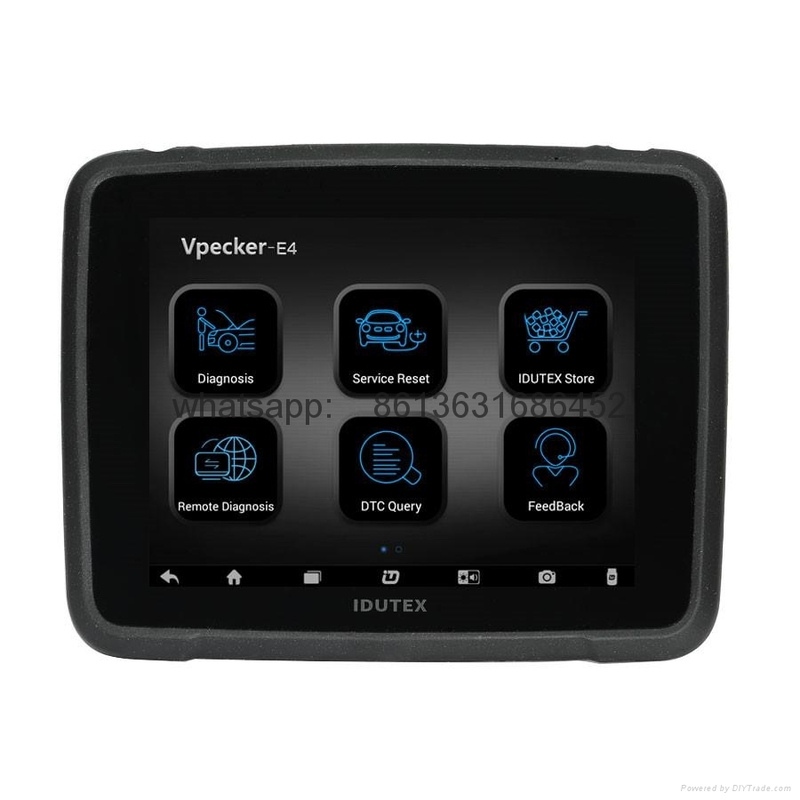 Vpecker E4 Malaysia Version is the latest 8 inch touch screen tablet diagnostic tool by IDUTEX Technical, can do powerful diagnostic function, also can with overall special functions like resetting, coding, programming and support 23 languages. More than 22 languages available: English, Japanese, German, Russian, French, Italian, Spanish, Portuguese, Polish, Turkish, Dutch, Hungarian, Korean, Czech, Arabic, Indonesian, Persian, Thai, Vietnamese, Finnish, Swedish, Romanian, etc. Note: It will take English by default. 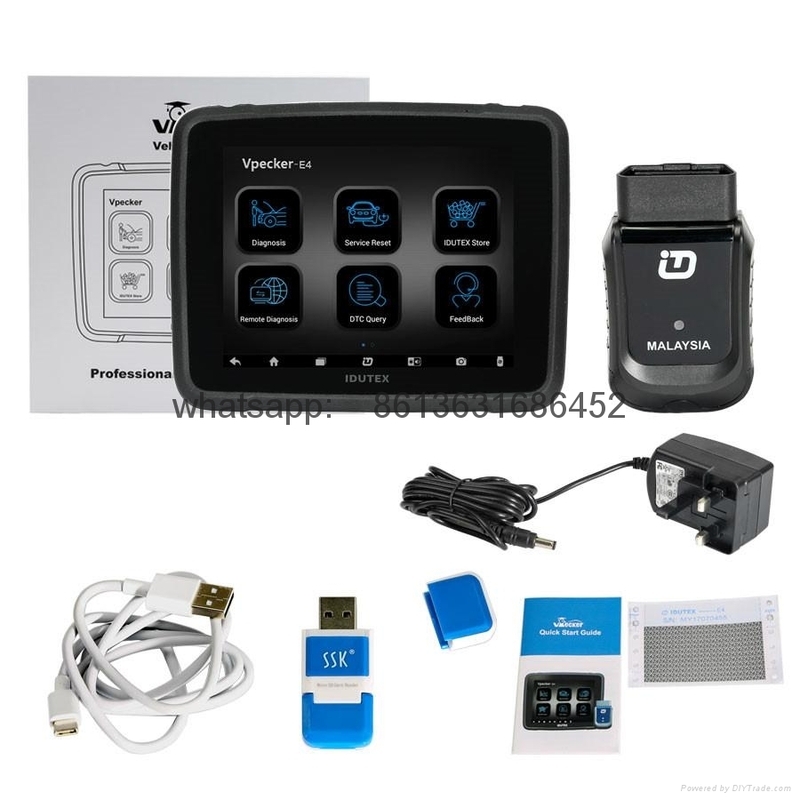 * Vpecker E4, android based multifunctional diagnostic tool with 8 inch tablet developed by IDUTEX, covers over 78 manufactures from Asia(China, Japan, Republic of Korea, Malaysia ), America, Europe, Australia. Featuring powerful diagnostic functions with overall special functions(resetting & coding & programming) , and professional data replay, data stream analysis for automobile repacking. It meets the customer’s requirement and would be the best choice for workshops and mechanics. 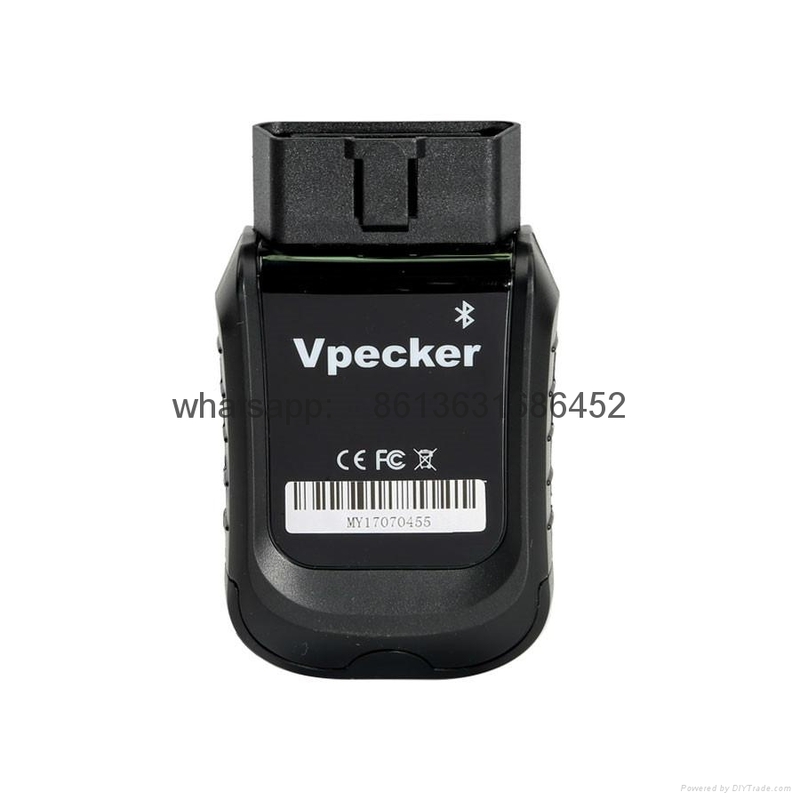 * Vpecker E4 include global version(Item No.SP305), Malaysian version, same function, supported vehicles different. 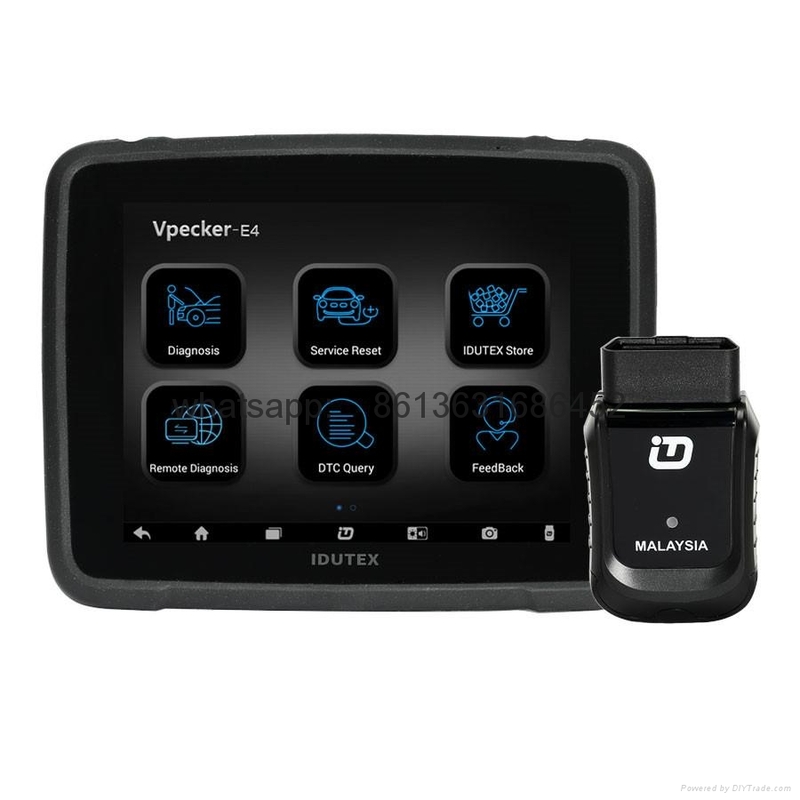 * Professional diagnostic tablet with smart VCI. * Complete function and special function. * Easier to use with touch-screen tablet. 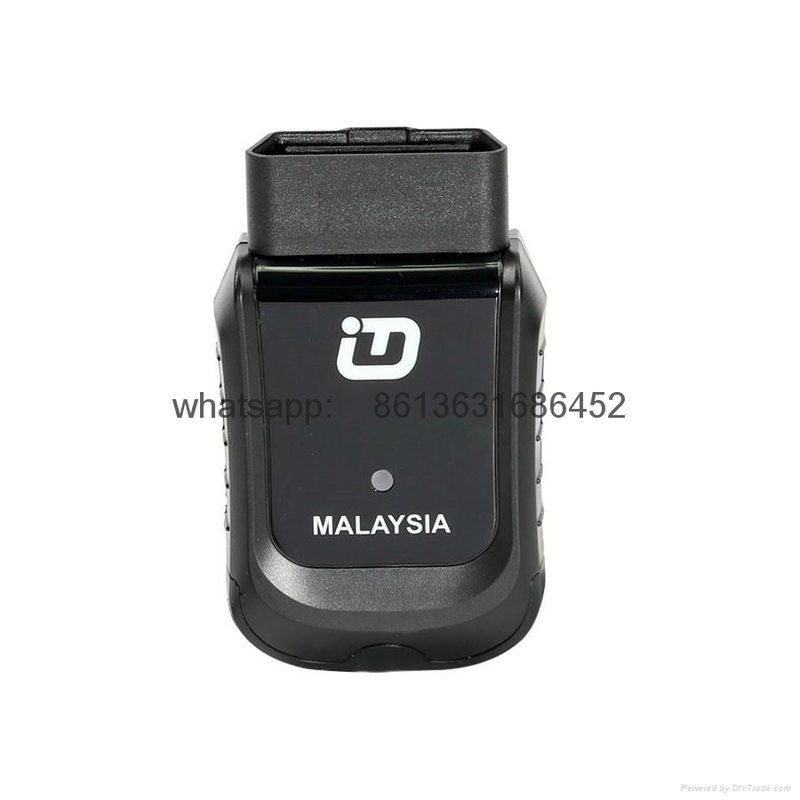 * OBD2 adapter can be compatible with all 16 pin vehicle. * Online intelligence upgrade, support many intelligent way of upgrading. * Some software realize smart intelligence of vehicle info and support test track. * Beautiful UI interface, easy operation, good experience. 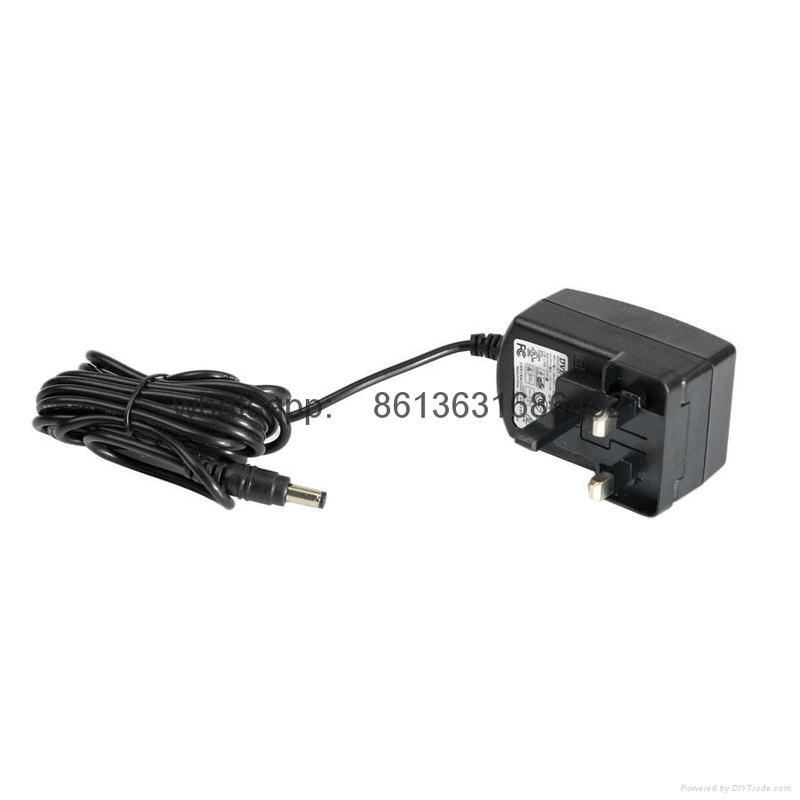 * Intelligent VCI built-in overvoltage automatic protection function, which ensures the diagnostic tool and vehicle are not damaged by accidental damage. Extensive vehicle coverage, support over 10 thousand models. 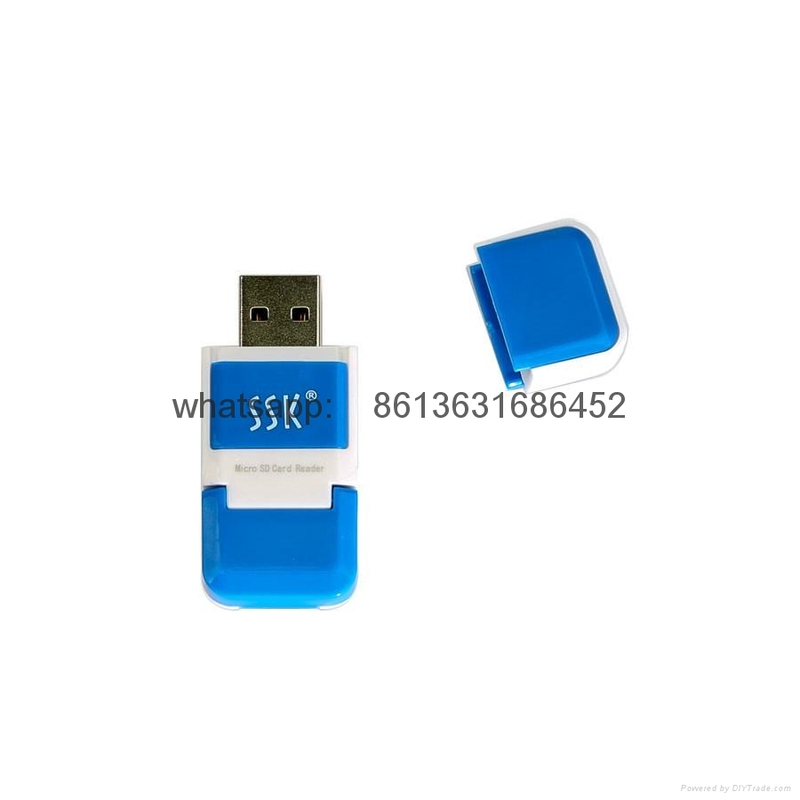 Support Wifi upgrade automatically and one-key upgrade, simple operation. Provide Version information, software release time and software upgrade introduction, the user can quickly understand the update content. Provide upgrade status and download data, for users better understand the function and service condition. Customized upgrade just for customers demand. Include car diagnostic , special function , application for car owner, product service, professional data stream analysis...ect. Frequent upgrades which meet customer needs. VPECKER E4 VCI hardware architecture uses a new design with multiple protection. Interference and stability. Built-in overvoltage protection module to protect VCI and vehicle against. It can work well and stably in high and low temperature environment. operation and intuitive operation. 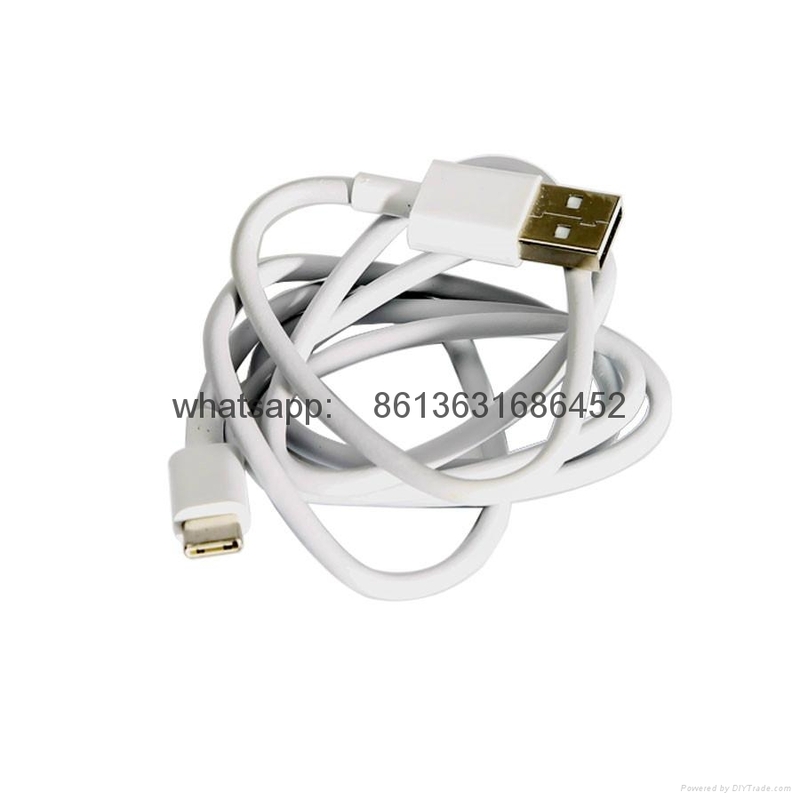 It can work stably and smoothly in high and low temperature environment.